Taking a long trip out of Blacktown and need to bring all of your things with you? Whether you’re moving around the suburbs of Sydney or out of state, entirely, a little help can go a long way. Especially if that help comes professionally equipped to make the move as quick, painless, and convenient as possible. 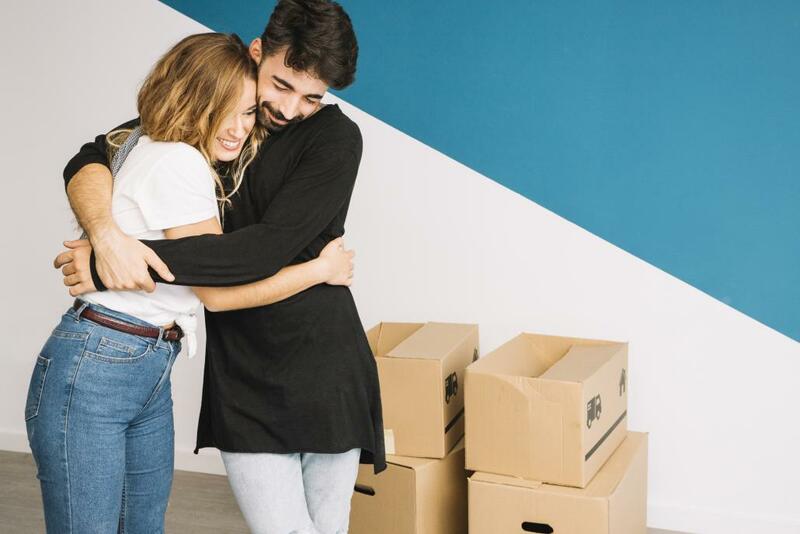 Trying to manage a move on your own, or even with a few friends, can be chaotic and more than a little stressful without a team that knows exactly what they’re doing and the best ways to do it. Our team of removalists in Blacktown can take all that stress off your shoulders, letting you simply think about what awaits you at your new home. House removals: From one door to the next or from one state to the next, we provide a wide host of bespoke removalist services to match both your needs and your budget. Office removals: From your furniture to your equipment, we ensure that none of the valuable assets that keep your business running are left behind. Prioritising minimum impact on the business, we aim to make any office move as smooth as can be. Packing and unpacking: Don’t want to deal with the fuss of making sure every little item is organised and packed? From everyday items to valuable fragile goods, we can take care of the entire packing and unpacking stage for you. Backloading removals: If you’re looking to move on a budget or simply don’t have much to pack, share your moving space with others and you can still benefit from a top-notch service. Interstate removals: If you need removalists to move from Blacktown to elsewhere in Sydney, we can provide that but we can also help you move to Adelaide, Perth, Brisbane and more. Furniture removals: If you’re looking for furniture removalists in Blacktown, you’ve come to the right place. We can disassemble, reassemble, and move your furniture securely and safely. Whatever services you need, get in touch with our team of professional, experienced removalists in Blacktown and we can help address your needs in the way that fits your specific needs. Moving can be a complex matter to handle, but we have the expertise and the equipment to handle most challenges. Our team has won a reputation as the best removalists in Blacktown for a wide host of reasons. First of all, we bring experience in facilitating moves of all sizes, for both residential and commercial clients. We provide some of the most reliable and safest fragile removals, as well as taking care of the entire packing and unpacking duties. We also bring equipment that can better help us remove large, heavy items like safes and baby grand pianos. With our expertise comes a superior level of service, as well. Our team of removalists Blackdown bring with them a transparent pricing system with accurate assets that lay all the costs up front. There are no hidden fees, no extra stings, just the service you expect and pay for. We also provide a host of highly maintained storage facilities that our clients can make use of whenever they need. With no minimum costs, you’re guaranteed to only pay for the time you use them. If you need any more reasons to work with us, simply take a look at the testimonials and reviews of our services and see what our past clients have to say. Our clients and their testimonials are evidence for our trustworthiness and our competitive pricing plans. We guarantee you that we will deliver you the best value for your money. Save yourself from the stress of moving, not to mention the time, effort, and the money you might have to end up spending on packing materials and hiring vehicles with enough room for all of your goods, too. If you need help packing, not only do we offer to take care of it for you, but we can bring with us all of the packing materials to help ensure your precious items safely make the journey from A to B. Our team knows how to drive, especially to and from Blacktown. When choosing a route, we look not only at the most direct but also which routes are likely to see us run into more traffic than you need to deal with. As such, we always choose the most efficient routes that help you keep your costs down. Hard-to-manage moves can be made a lot easier thanks to the fact that we bring all the equipment we need for the job. This includes tools for disassembling and reassembling furniture, as well as access to trolleys that can safely move heavier items to and from your old property and your new home. We offer free quotations based on your needs and the size of the move, providing accurate, honest assessments of how much you can expect to pay with no hidden fees added to the price. Moving can be an incredibly busy time, and it’s easy to lose track of your schedule. As such, we have a call before arrival service to ensure that you are ready for our team before we come to help with the move. As such, it’s not necessarily a problem if you need a little more time before we pick up your items. Our team is covered by public liability insurance. This means that if any of your possessions sustain damage under our care, then we take the responsibility of ensuring that you are as best compensated as possible. Moving can be a complicated process, with several steps that need to be planned and carried out with plenty of care. Our team is here to help you move and execute those plans every step of the way. From finding the right route to ensuring you have the equipment both to pack and move the goods. From packing to unpacking, disassembling furniture to reassembling it, and finally, making the journey itself. We can help you cut on the stress of your move by handling a lot more of it for you. Our team can even help you get over the initial weirdness of your new home and get used to it all the quicker by completing the decorating process so you can focus on experiencing the move. Accidents are more likely: Moving a lot of objects, especially heavier items such as furniture, can be dangerous. Not only is the risk of dropping them on your feet very real, but you can get your fingers and hands caught between the object and doorways, or corners. Certain objects might be harder, or even impossible to move: Heavier objects like safes might be impossible to move without the right equipment. A schedule might be harder to stick to: Without the right vehicles, a time-efficient plan, and a knowledge of the best route to take, keeping on schedule can be much more difficult than expected. Your deal with all of the costs alone: Not only does this mean the fuel and packing materials needed for the trip, but you’re also accountable alone for any damage done to your goods on the course of the journey. Simply put, you can manage a much more effective, reliable move with the right team on hand. We bring the experience, as well as the equipment, needed to help make the process as smooth and stress-free as possible. Don’t hesitate to get in touch with us if you don’t want to deal with the risks mentioned above. If we are available, then we guarantee fair pricing, no matter when you book our services. As such, we have no separate prices for normal or urgent bookings. That means that if you’re in need of last-minute bookings, we will treat you exactly the same as we treat those customers who book months in advance. Similarly, we aren’t going to charge you any extra money for offering our services on weekends or public holidays. Our services are available and equally priced all throughout the year, seven days a week. The quotations we offer for our services do not have to account for which day you’re moving on since it doesn’t change how we charge you. You don’t have to pay for any of the fuel consumed as part of the moving process. All of the costs of the move are going to be accounted for before we start removing your things, with no hidden costs to be added at the end of your service. Just like with the fuel costs, there are going to be extra costs added to your bill for the amount of time it takes our vehicles to get from point A to point B. As such, our drivers have no incentive to choose a route that’s less time efficient. Many companies will charge you for the travel and fuel costs that are used to reach your home even before you start making use of their services. This is known as a callout fee and it’s one charge that our team does not believe in. We know that enough costs are already involved in the removals service so we find no need to add any extra. If you’re hiring our team of furniture removalists in Blacktown, then you don’t have to worry about the extra costs of furniture dismantling and reassembly, either. We already account for those steps in our packing and unpacking services. If there are any items that need to be taken apart and put back together, we only charge you for the time that it takes, rather than an additional cost for the service itself. Similarly, if you’re relocating to or from a home or business property that has steps, most companies will charge if there are any stairs to navigate. However, we do not offer any charges for stairs up to the first level, and only minimal fees added if you’re relocating to or from the second floor. Lastly, and most importantly, for some, we have no cancellation fees. Whether you need to rethink the time of the move or you might end up not moving at all, or simply decide you don’t need our services, we will not charge you when you cancel a previously made booking with us, so there’s no reason to hesitate when it comes to inquiring about our services. We want to make sure that this stressful time of moving to a new home or office is made at least a little more convenient for us. If you want to learn more about what we do or don’t charge for, get in touch with us for a free estimate. The preparation phase: We assist you in planning the move, from as early as you call us right up to the day before you move. This means if you have any extra considerations such as needing specific packing materials or not knowing how to move certain items, we can address those questions for you. The planning phase: You don’t need to worry about any uncertainty on how, exactly, we’re going to help you move all your items. We will have a plan prepared ahead of time, showing how we’re going to pack and transport your items. This gives you time to look over our plan, as well as to make any suggestions or requests for extra considerations. Ongoing support: We have a support team that’s kept fully available throughout every step of the moving process, seven days a week. If you have any questions or concerns, you are more than welcome to get in touch with them any time so we can go ahead with the move without worrying about any unaddressed factors. The day of the move: Before we leave to make the journey to your property, we will call you ahead of time to make sure that you’re ready for our team. If you’re not, that’s nothing to worry about, we can reschedule to a little later in the day in most cases. This isn’t always possible, so please inform us if there are any changes to the plan. The vehicles arrive: Our team will arrive, fully equipped and prepared for the day ahead. The vehicles we bring for the task will depend entirely on your needs and how much you need us to transport. Packing and disassembly: The order in which we pack or disassemble your furniture and goods, providing that you want these additional services, is done before we start loading your goods onto the vehicles. We will have brought all the necessary packing materials and tools for the job, so there’s nothing for you to do but sit back and ensure that you’re personally ready for the move. The removal: Once we’ve prepared everything for removal, we’ll start loading it onto our vehicles. The process will be ordered and planned to ensure the smoothest move possible. This includes bringing additional equipment such as trolleys if we need to move equipment too heavy to lift by hand. Storage if necessary: If you don’t have enough space at the new property for all of your items, then we also have storage services that we can make available. These storage spaces are secure, safe, and well-maintained, guaranteeing that your items are going to be in exactly the place and the condition that you left them in when you come back to pick them up again. The journey: Our team will have picked out the best route for the journey ahead of time. This means that we factor in not only the most direct route but also the factor of traffic and how much time it might add. As such, we ensure that we choose the most efficient path for 100% of our journeys. Unpacking, assembly, and decoration: When we arrive on the other side, we don’t simply leave your goods in the nearest available spot before heading off again. We make sure that items are left where they’re supposed to be. If you asked for our packing and unpacking services, then unpacking, assembly, and decoration are all included. In the end, we hope that you are going to be every bit as satisfied as the countless clients that our removalists in Blacktown have helped before. We will be there to ensure that nothing is missing or damaged, or to start working on a solution should that unlikely case come to pass. Our team leaves no stone unturned and won’t leave you with any problems to deal with after our services are complete. Of course, our plans adjust to make up for your needs. Our office removals, backload removals, and furniture removal services in Blacktown, for instance, may require a few different steps. However, we will let you know of these plans ahead of time so there’s nothing to worry about. Hopefully, the information above has proven that whether you’re moving into or out of Blacktown, whether it’s a short journey or an interstate trek, our team is precisely who you need for the job. We have a wide range of relocation services taking into account all the packing, logistics, and transportation demands of such a journey. As such, we offer you a one-stop solution that can help you make it all manageable. From planning to inventory assessment, transportation to vehicle relocation, packing and unpacking to furniture disassembly and reassembly, warehousing to decoration, we can do it all. Get in touch with our team of removalists in Blacktown and we will be glad to listen to all of your needs and provide a comprehensive plan that gets you from point A to point B with no worries. Use the contact details available on the website and schedule your service, or feel free to address any questions or concerns that might be on your mind. We’re here to help, seven days a week.